The New England Aquarium showed an IMAX documentary on how plants and wildlife in Madagascar had evolved since being separated from the mainland of Africa back in the ice age. 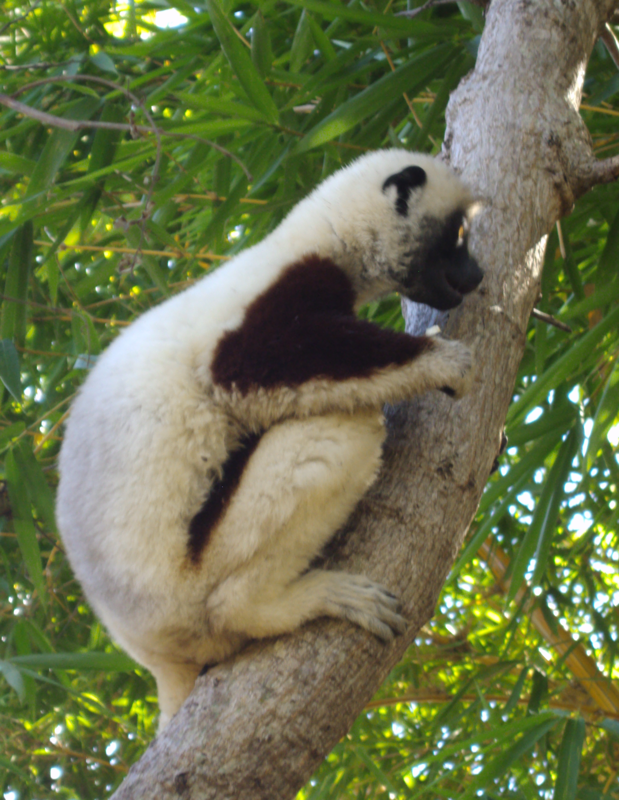 It talked of the variety of lemurs, only found on Madagascar. Among them, there was a group of white furry creatures seemingly dancing with joy on a beach. I could feel the exuberance and the picture stayed with me. A little over a year later, I was packed and on my way to Madagascar. It was a fairly lengthy sojourn as internal travel in Madagascar moves slowly. I stoically steadied myself; wild animals could never be counted on to appear and perform just because their audience is waiting. And there was so much else to see from the Baobab trees to the fantastic limestone outcroppings to the traditional hairstyles and the many zebu… I recommend the destination. For almost a month, I saw a variety of lemurs, but no public dance. On my last day, to make use of my time before my afternoon flight, I took a trip to the Lemur Park just outside the capital city of Antananarivo. A knowledgeable, young man led me on a guided tour of this conservation project. Many lemurs wandered about, seemingly conditioned to the limited amount of gawking visitors allowed in the park. 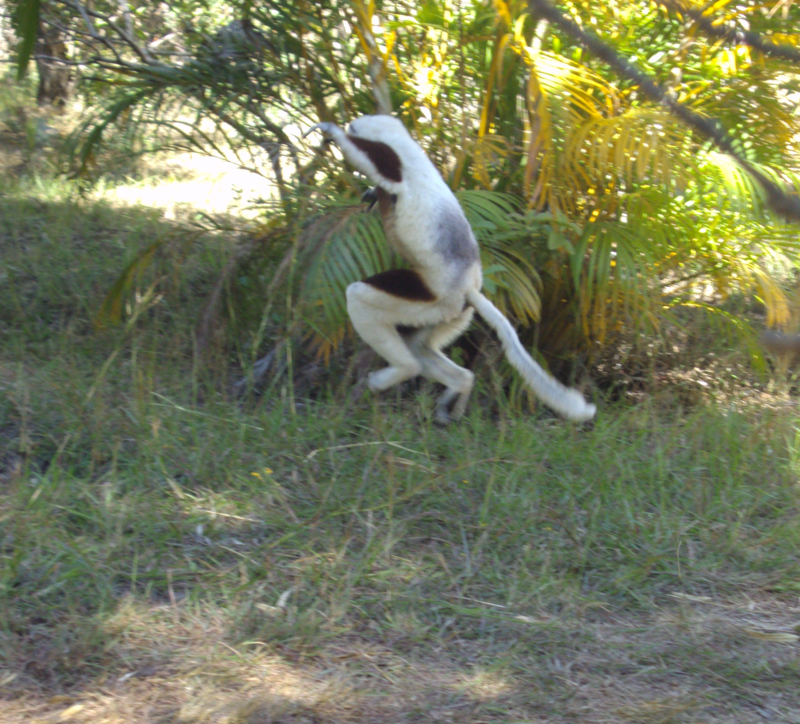 Toward the end of our walk, I even saw dancing lemurs dance. But then, it got better. Alone, sipping coffee on the porch and looking out at the trees, I heard the approach of something crashing through the branches. Four of the dancing lemurs came with in 12-15 feet of the porch, descended from the trees and in a laid back manner and fluid style, they “danced” before me. They actually travel on land by jumping sideways but to me, it looks like a jubilant dance. I was in the midst of dancing lemurs. Sometimes, it all comes together.